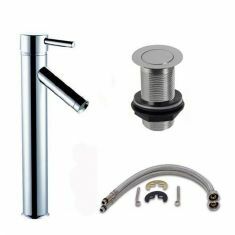 Combined to give value for money and a simple choice, our tap and waste sets are a very popular range. 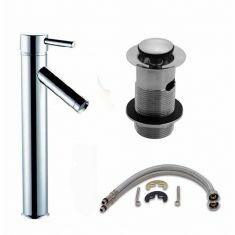 Supplied with Hi Rise Tall Counter Mounted Tap, or Lo Rise Counter Mounted Tap with Slotted or None Slotted Waste there is a combination available for all of our basins. 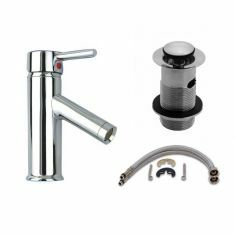 Not only for use with our basins and sinks, our taps and wastes are standard fitting to allow use with any other basin in the marketplace. Simple single lever use is ideal for use by everyone including children and people with disabilities. 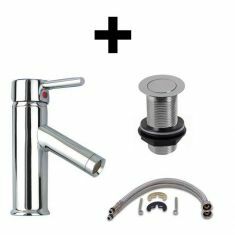 The taps are supplied with the most modern ceramic internal cartridge for long lasting reliability. The wastes are also made from high quality materials for peace of mind and ease of use.